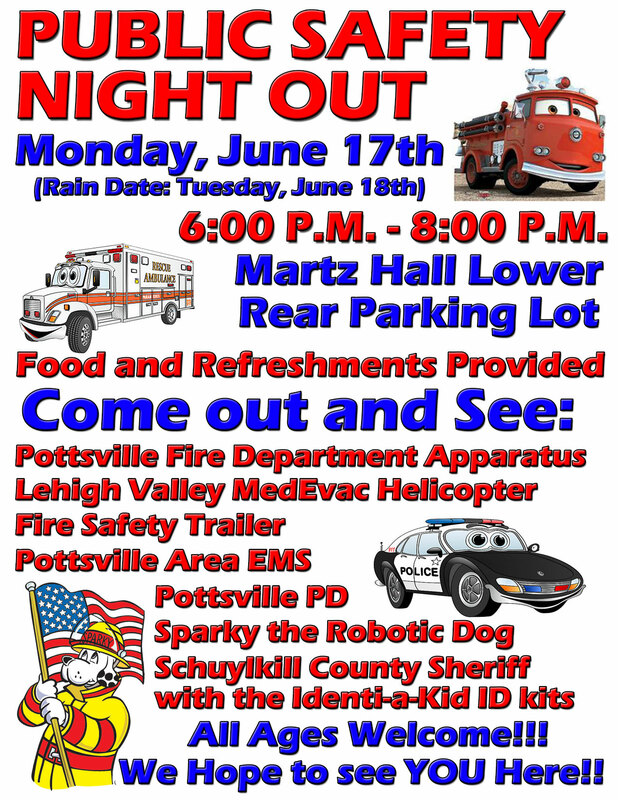 On Monday, June 17th at 6pm, the PFD will be hosting a Public Safety Night Out at the Lower Rear Martz Hall Parking lot. Rain Date will be Tuesday, June 18th. 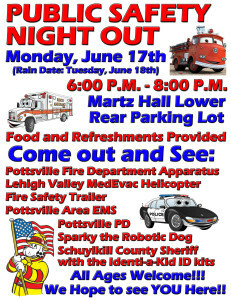 Please come out and see our display and help educate your family about fire and child safety. Anyone residing in the city and in need of smoke detectors may contact the fire chief at City Hall at 622-1234.